Tablo table, designed for Normann Copenhagen by Nicholai Wiig Hansen, unites function and aesthetics in a simple design. The essence of this round and three-legged table is the interaction between two materials with very different expressions, which combined form a minimalistic and stylish design. The table top has a refined, sharp edge which contrasts with the round shapes. 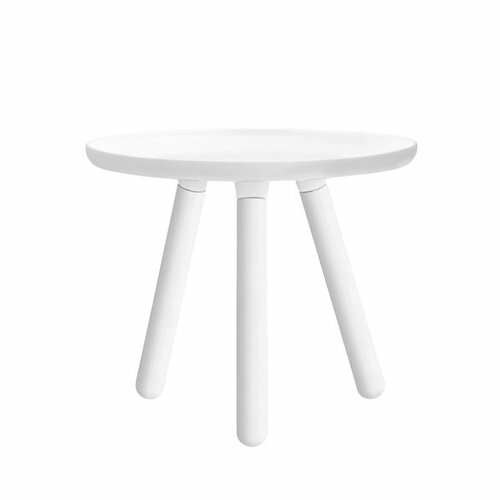 The result is a minimalistic table without redundant details. The name, Tablo, refers to the English 'table' and the French 'tableau', the latter meaning a scenic, organised arrangement. With its simple expression, Tablo table fits into most interior styles and is available in a large and a small version and in three finishes - glossy white, matt black and grey. 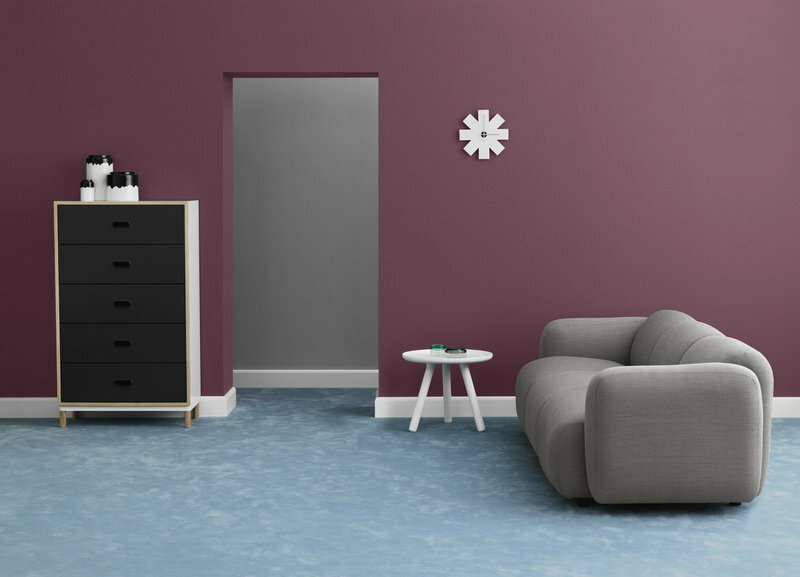 Tablo is quick and easy to assemble without the use of screws. Thus Nicholai Wiig Hansen comments on his design: "For me, it is paramount that function, materials and aesthetics all come together. The design needs to both be useful and solve a basic need - without compromising the visual expression. Being easy to assemble is therefore part of Tablo's function".